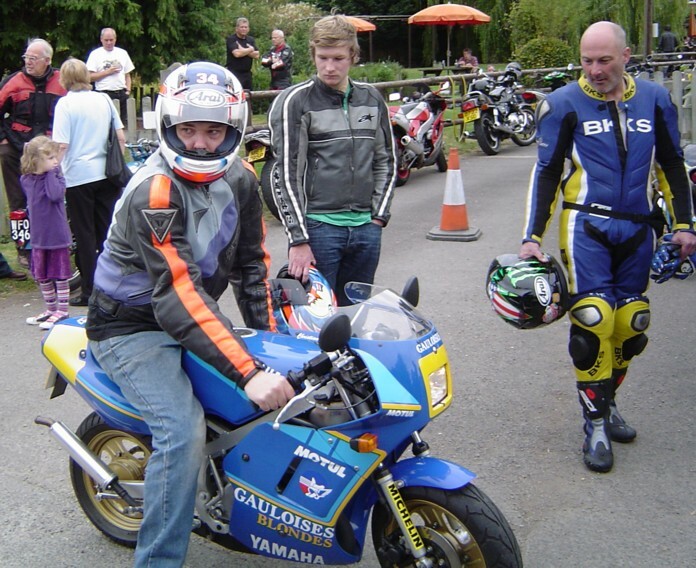 Two-stroke nut, pub landlord and loyal Diff'rent Strokers member Paul Wilshaw runs a monthly bike meet at his pub, the Shoulder Of Mutton in Grandborough. It's been going for a while now and the photos on the various forums show how popular it is, though the free pudding offer may have something to do with that. He's been trying to persuade us to hold a Diff'rent Strokers event there but he seems to be doing quite well enough on his own. 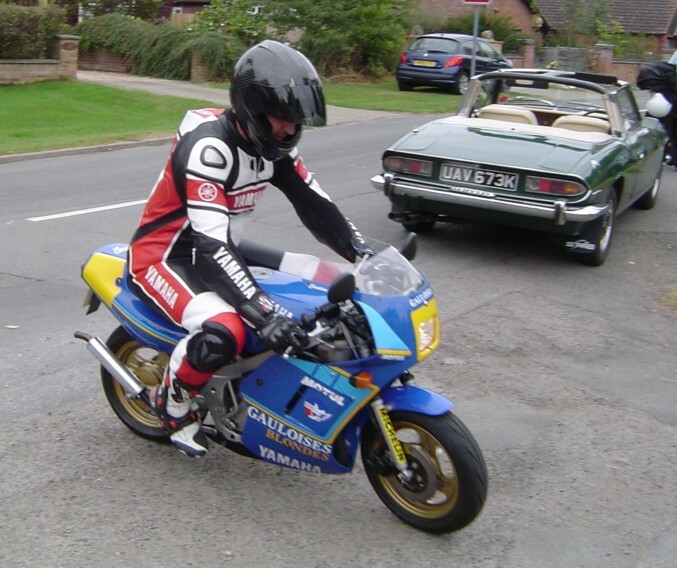 Sunday 27th September was the last scheduled '2-Stroke Sunday' of the year and as it happened to fall on a free weekend for us we thought it was about time we went along. Although centrally located near Rugby, it's quite a distance away from where we all live but as we were planning on taking the gag bikes anyway, riding there wasn't really an option. Tim & Sara hired a van and proceeded to fill it with the TDR80, NSR50 and RB50. 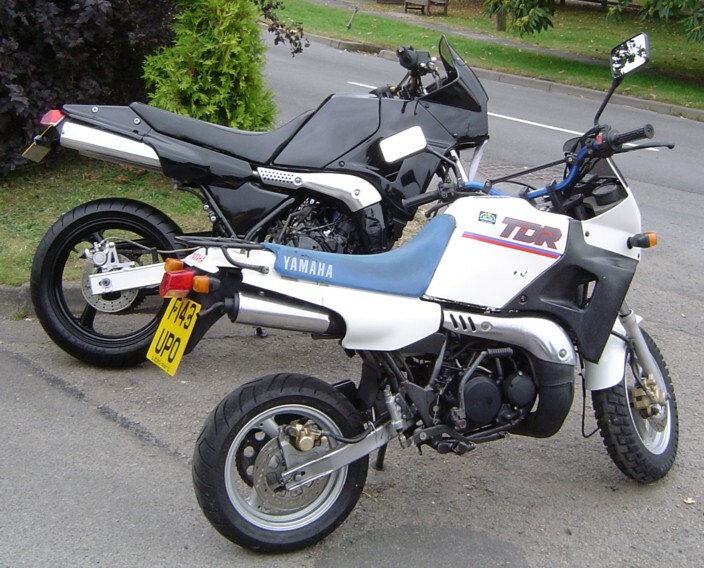 Darin packed his van with his YSR80 and RB50 along with his TDR250 (which was "For Sale" but he's not sure now). 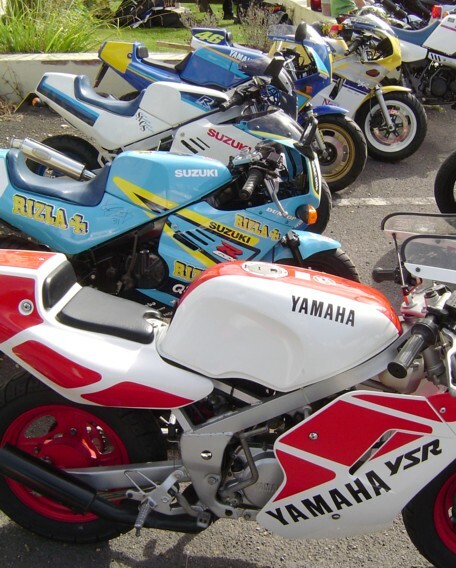 Rob E brought his new YSR80 and picked up a couple of his mates and their RGV250's on the way. 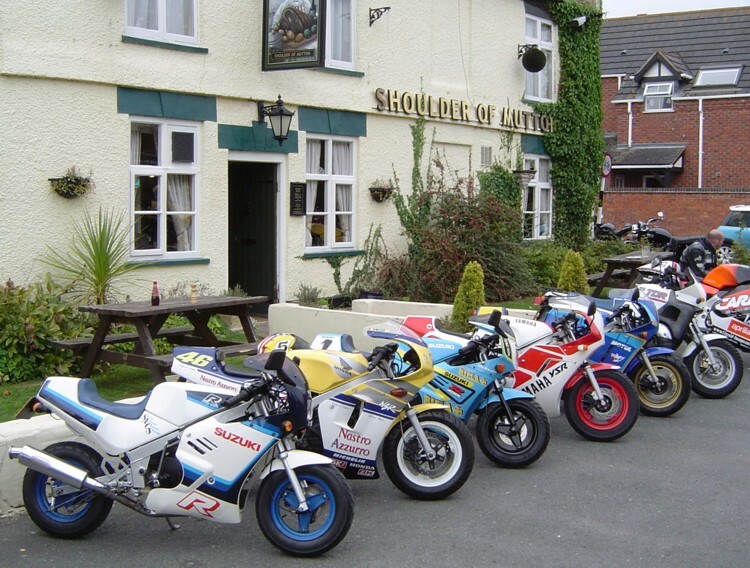 When we arrived just before 11am, Paul was lining his own bikes up outside the pub. He likes to keep all the 2-strokes out the front and tuck the 'diesels' away round the side but he let us park all the gags together on the corner. We decided to tuck into coffee and fried breakfasts before it got too busy. Gradually more and more people arrived, on a surprisingly eclectic mix of machinery. Out front you could see RD's, TDR's, RGV's and RS250's plus the odd Kettle and X7, meanwhile the large car park was rammed with everything from scooters to modern sports bikes, via old British classics and Harleys. 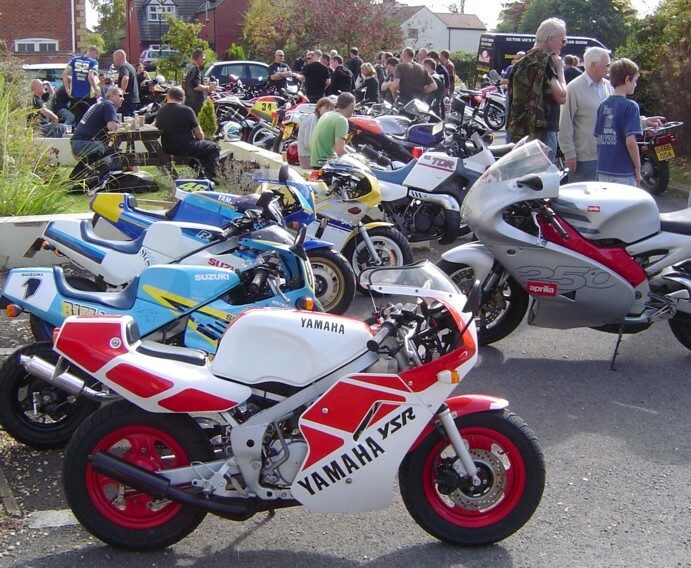 The weather was great and everyone was just sitting around chatting and admiring the bikes, as well as keeping Paul busy behind the bar. Rob B turned up on his lovely RC30 complete with Diff'rent Strokers T-shirt and we caught up with several other people who we normally only see at the shows. After a while we decided it was time to fire up the gags and go for a quick spin seeing as they were all there. Darin's RB was sidelined with a leaking carb but we recruited Paul to take Tim's Suzuki and lead the way. 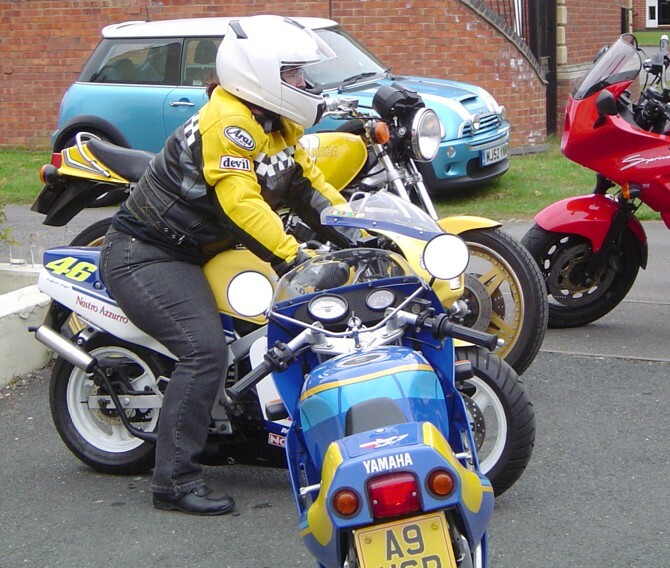 Rob had to push-start the sulky YSR, Darin took his blue 80, Sara got her first proper ride on the TDR and so Tim was left with the NSR. The five of us went out on a loop of the country lanes which were absolutely perfect territory for the bikes. 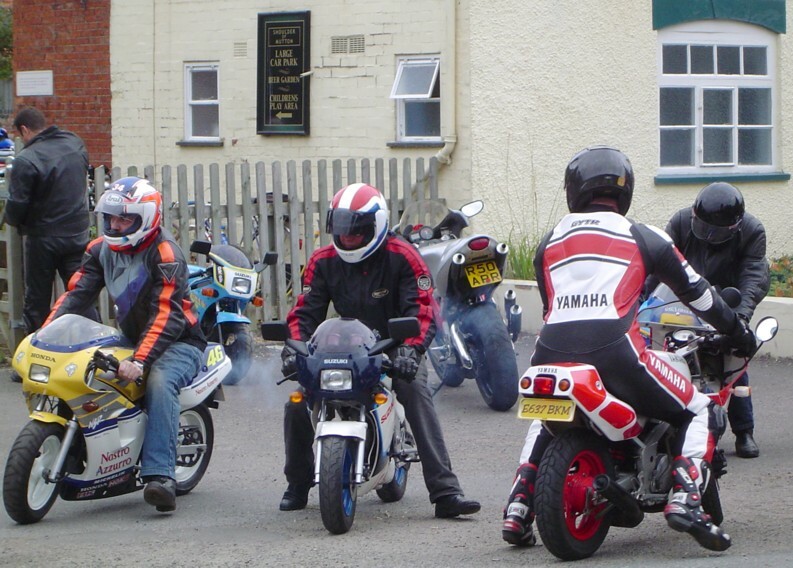 On arriving back at the pub, Darin and Rob swapped YSR's for a quick blat to see how they compared and after that we all went out again, Rob on the RB, Tim & Darin on YSR's and Sara on her NSR. Great fun, though not all the people watching seemed to understand the appeal. We all agreed that we need to do this again. Which bikes shall we take next time ? Anyone else up for it ? 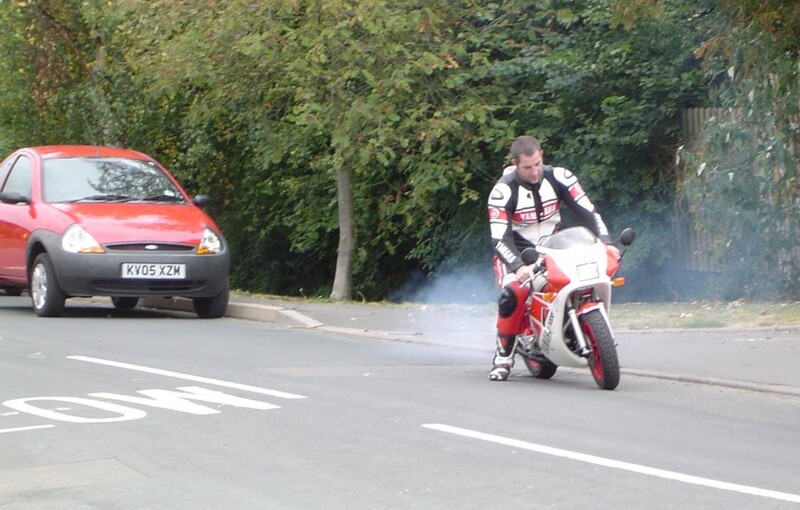 Thanks to Paul for organising a great day and Chell for taking the pics of us fooling around around on the bikes.